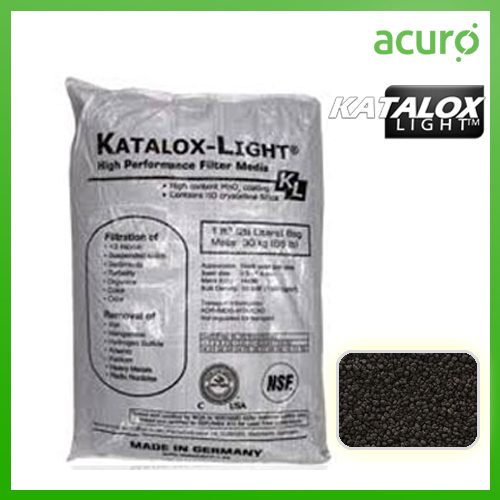 The Katalox Light®- Arsenic Removal Media can be used in a pH range of 5.8 - 10.5. Recommended flow rates are based on the concentration of the iron, manganese and other mentioned contaminant in the raw water, but a good rule-of-thumb would be the loading rate at 6 - 12 gpm/ft² (15 - 30 m/h). The media will require occasional backwash and the OXYDES treatment to clean it's solid metal oxide surface. It is an important part of an Arsenic Removal Plant and filter.